COLUMBIA - The man in Tuesday's suspicious incident at Gentry Middle School has turned himself in. The individual was identified as Kelvin Joe, 53, of Columbia. Joe spoke with officers and was cited for trespass in the first degree and driving while revoked. He also was issued a no trespass warning, which now prohibits him from being on Columbia Public School property. Police do not believe he was targeting children. The initial press release described a man matching the description of Tuesday's possible attempted abduction at Gentry Middle School was also seen Monday afternoon at College Park Christian School. Police said the incident at Gentry happened at 3:20 p.m. Surveillance video shows a man driving up to the school, matching the same description as Monday's suspicious activity report, according to Interim Police Chief Geoff Jones. The suspect is described as a black male, age 50 to 60, skinny, with salt and pepper hair. "The child is safe and the police are investigating. All district employees have been informed of the incident to ensure we remain alert and vigilant," Columbia Public Schools said in a letter to parents. 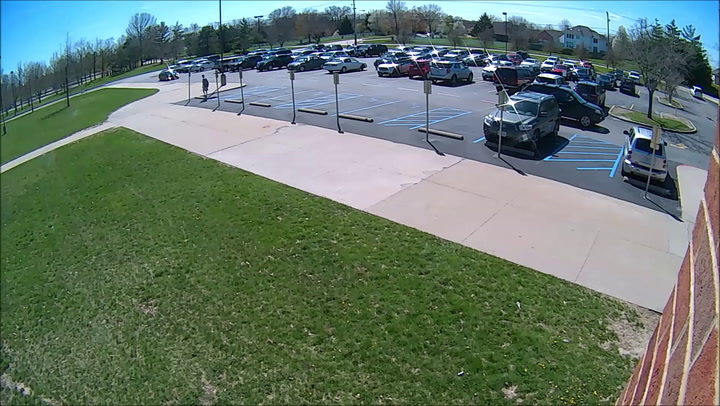 Investigators are sharing a surveillance video showing a man stopping his car in the school parking lot and attempting to engage a young boy in a conversation. The boy backs up and walks away and the man returns to his car and drives off. The boy said the man asked him to come to the car, and when he refused, the man attempted to give him money, the CPS letter said. The letter describes the car as an older model 4-door black Mercedes sedan. CPS sent the video to parents asking for assistance. "If anyone has any information regarding this individual, please contact the Columbia Police Department directly at 311," it said.